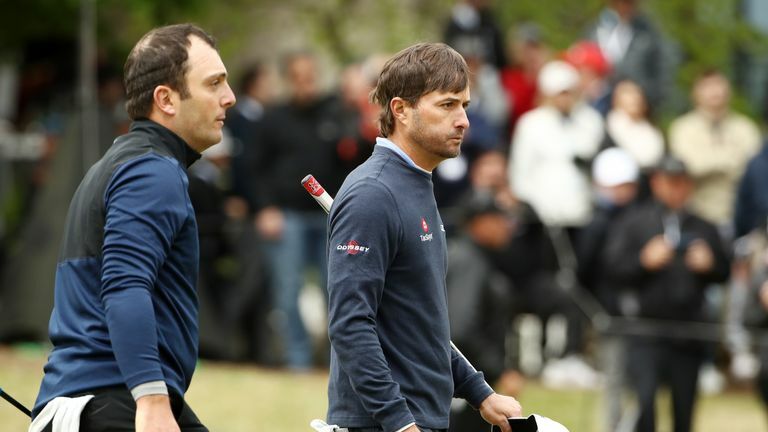 Highlights from Francesco Molinari's semi-final with Kevin Kisner at the WGC-Dell Technologies Match Play. Francesco Molinari saw his remarkable winning run in match play come to an end in the semi-finals of the WGC-Dell Technologies Match Play. The Italian's hopes of a maiden World Golf Championship title were halted by Kevin Kisner on Sunday morning at Austin Country Club, with the American claiming a 1up victory to reach the final for the second year running. The world No 7 will now face Lucas Bjerregaard in the consolation match to see who finishes the week in third spot, while Kisner plays 2013 champion Matt Kuchar in an all-American final. A tight contest saw Kisner take the lead with a three-foot birdie at the first, only for Molinari to win the second with a two-putt par and move ahead by holing a 15-footer at the third. Molinari recovered from losing the next two holes to post a close-range birdie at the seventh to reach the turn all-square, before three bogeys in a four-hole stretch from the 12th saw the Open champion slip two behind with three to play. A tap-in birdie at the 16th and a five-foot gain at the next pulled Molinari back level heading to the par-four last, where he three-putted for a closing bogey to hand Kisner victory. The other semi-final also went to a final-hole decider, as Bjerregaard - who defeated Henrik Stenson and Tiger Woods on Saturday - threatened to eliminated another higher-ranked player. Kuchar never led by more than one hole at any point in the contest, with Bjerregaard matching the American's 10-foot birdie at the 17th but unable to find another at the 18th to extend the contest.